Over at my parents house we are almost finished decorating the inside of the house. I live with my parents and I am still looking for a place to move to, but it is hard people. You can check out my two posts about moving out from my parents house and why we haven’t moved yet. Since me and my big family haven’t moved yet we might as well enjoy all the decorations and Christmas spirit with my parents and sisters. I love the holidays and my favorite holiday is Christmas. I love decorating, cooking and just the feeling of joy that Christmas brings. It is cold here in New York so hot chocolate all the way for me with marshmallows. 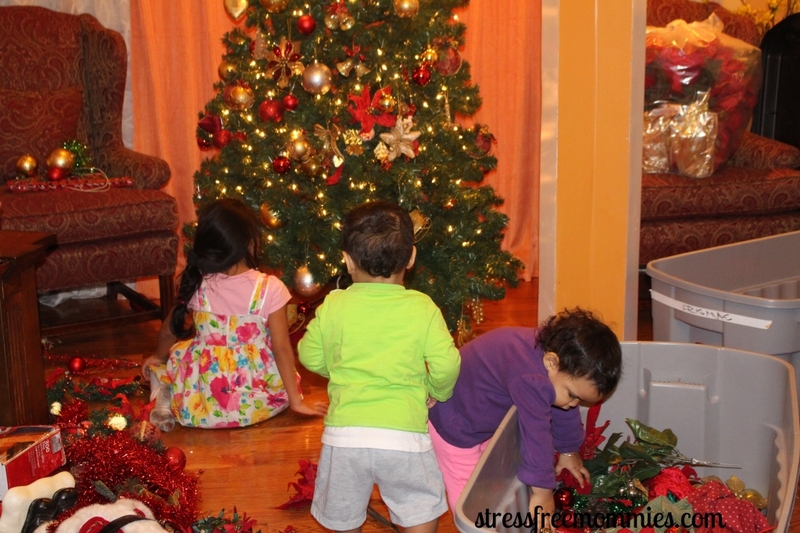 There are a lot of reasons why I love Christmas but that will be in a different post.My twins got to experience all about decorating the Christmas tree, last year they were 6 months old so they didn’t know what the holiday was really about. 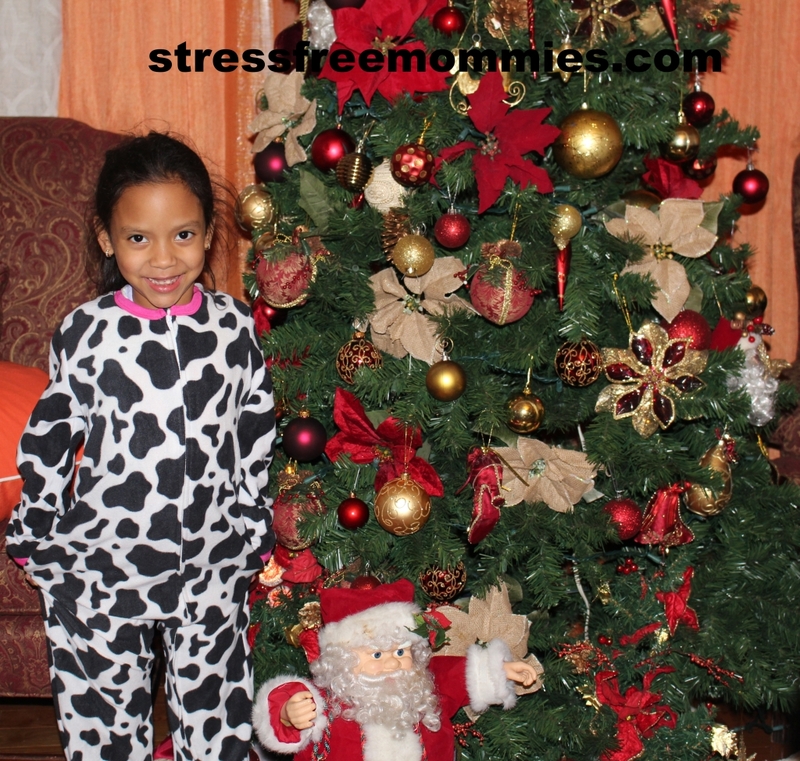 My 5 year old loves Christmas and decorating the tree as well. 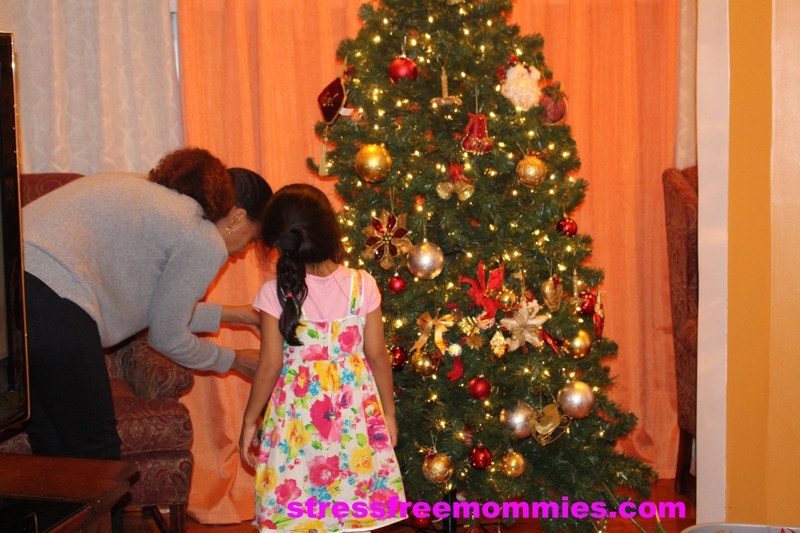 She helped her grandma and her aunty with the Christmas tree. We make it a tradition to take the tree out just before Thanks giving day and start decorating it. Also we make it a habit to have my kids join in the decorating duties, specially my 5 year old daughter. 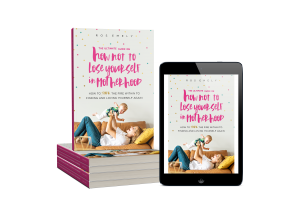 Having the kids help is a great way for them to feel like they are a big part of all the festivities. It also keeps them busy which is always a good thing when you have kids. The Christmas spirit is in the air at my parents house, I love the fact that every time I walk in the house I smile. The lights, the candles and all the red accents in the house is just beautiful. I do have to say that my twins are touching everything and taking all the Christmas balls from the tree. It is a little crazy here at the house but just seeing their faces light up melts my heart. I just have to say “sorry mom” she understand though. 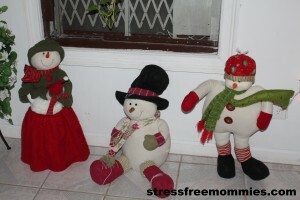 Here are a few pictures I took of the house and how we decorated it for Christmas. We still have to hang a few decoration on the walls but I am going to show you what we have done so far. Here is the fire place(not real)we added a few candles and floral to it. Also the two pillows on the side chairs are so beautiful with snowflakes on them. 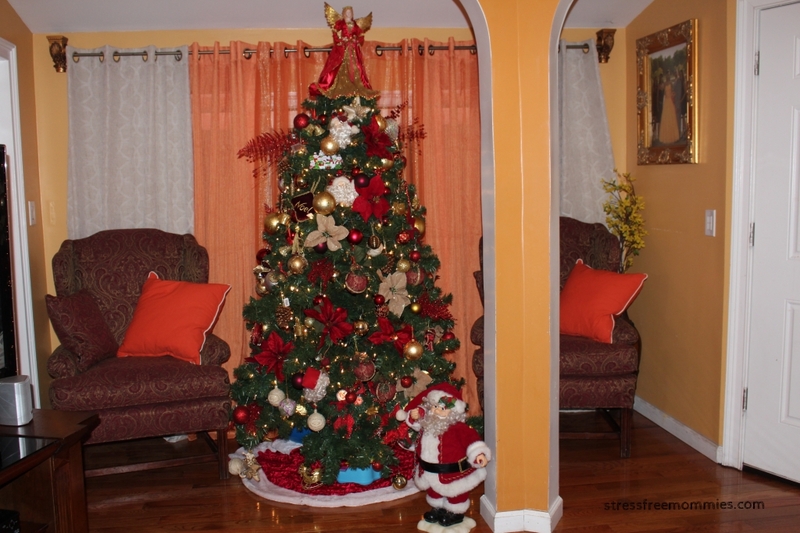 That is all for now I will update you if we add more decorations to the inside of the house. Which we are since my mom is hosting Christmas she always wants to have the house looking extra special. Oh yes, I will show you how the outside of the house looks like with all the Christmas lights as well. So stay tune for that. Más en casa de mis padres Ya casi hemos terminado de decorar el interior de la casa con casas navidenas . Vivo con mis padres y yo todavía estoy buscando un lugar para vivir , pero esto gente dura mucho . Usted puede comprobar fuera de mis dos puestos en mudarse de casa de mis padres y por qué no hemos movido todavía aquí . Desde que mi gran familia no nos hemo mudado todavía, vamos a disfrutar de todas las decoraciones y el espíritu de la Navidad con mis padres y hermanas . Me encantan las fiestas y mi favorita es Navidad. Me encanta la decoración, la comida y cocinarlas y sólo la sensación de que la Navidad trae . Hace frío aquí en Nueva York el chocolate tan caliente todo el camino para mí con malvaviscos . Hay un montón de cosas por las que amo la Navidad, pero escribire de eso otro dia.Mis mellizos llegaron a experimentar todo sobre la decoración del árbol de Navidad , el año pasado no podian porque solo tenian 6 meses de edad, eran bebés. Mi hija de 5 años le encanta la Navidad y decorar el árbol también. Ella ayudó a su abuela y su tía con el árbol de Navidad . Ahora es una tradición de tomar el árbol justo antes de la fiesta de accion de Gracias y empezar a decorar. También hacemos un hábito para tener mis hijos que se unan en los deberes de decoración , especialmente mi hija de 5 años . 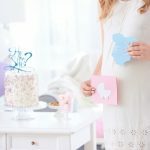 Tener la ayuda de niños es una gran manera para que ellos sienten que son una parte importante de todas las festividades . También los mantiene ocupados que siempre es una buena cosa cuando tienes niños. El espíritu navideño está en el aire en casa de mis padres , me encanta el hecho de que cada vez que entro en la casa sonrío. Las luces, las velas y todos los detalles en rojo en la casa es simplemente hermoso. Tengo que decir que mis mellizos están tocando todo y toman todas las bolas de la Navidad del árbol. Es un poco loco aquí en la casa, pero sólo ver sus rostros se iluminan derrite mi corazón . Sólo tengo que decir ” mamá lo siento” ella entiende sin embargo. Aquí hay algunas fotos que saqué de la casa y la forma en que lo decoró para la Navidad. Todavía tenemos que pasar unos cuantos decoración en la pared , pero yo voy a mostrar lo que hemos hecho hasta ahora..
Eso es todo por ahora voy a actualizar si añadimos más cosas para la casa. Como mi mamá siempre se encarga de hacer la fiesta de noche Buena,ella siempre quiere tener la casa que se vea muy linda y especial. Oh, sí , voy a mostrar cómo el exterior de la casa se ve como con todas las luces de Navidad también. Así que esten atento para eso. 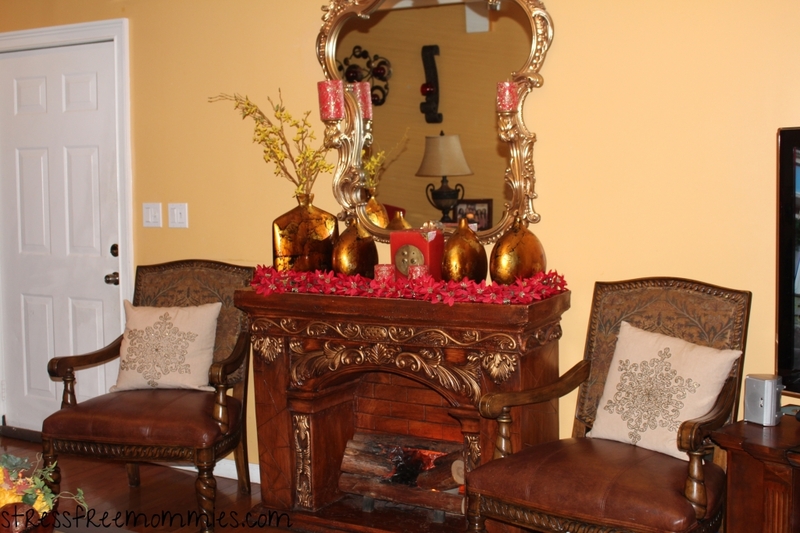 I loveeeee the lighting and decor around your tree – it’s so warm and inviting!! 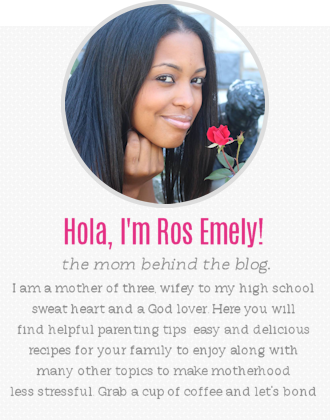 Thank you Lauren, my twins keep messing it up and I keep putting everything back in place so it can look like that :). I LOVE decorating for Christmas and your tree is so beautiful! 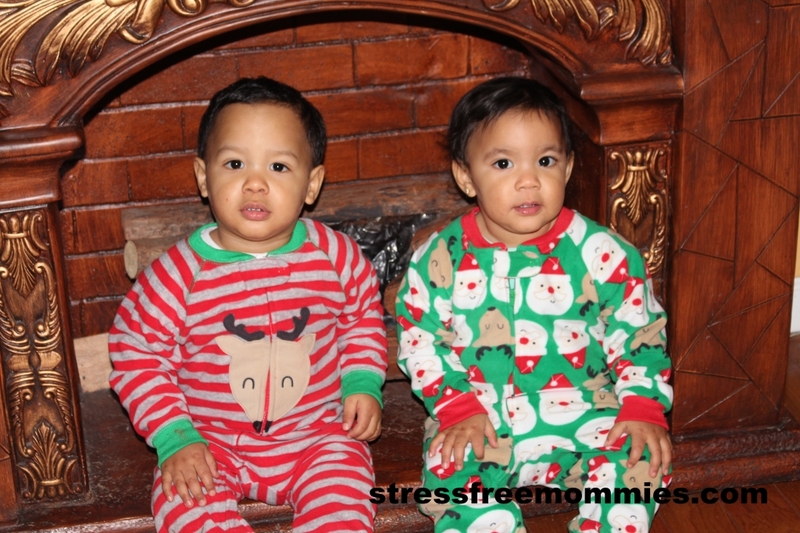 Your twins cozy Christmas jammies are so darling too!!! Thank you Mel! Christmas decorating is just the best. The twins love their pajamas and I love putting my kids in cute pajamas specially now that the weather is getting cold, so is a win for everyone.